As I embarked on this project to comment on novels that give me a glimpse of Zion, I felt that, despite my love for the classics, this would be an unbalanced presentation if I neglected the fiction written by members of my own religion. I thought I would re-read a few of the books in this category that I actually own. Several years ago I gave quite a few LDS novels away, needing the shelf space and knowing I wouldn’t re-read those particular works. For that reason, the books I own are ones I like a lot and have probably already re-read at least once. 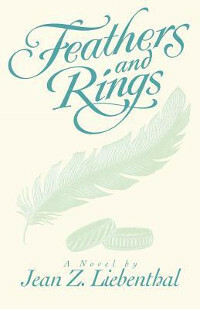 At the top of that list is a novel entitled Feathers and Rings. I don’t think I’ve ever seen this obscure little book on anyone’s list of “Best LDS Fiction,” but of all the LDS novels I’ve sampled over the years, this is the one I keep going back to—I’ve read it at least four times now. I absolutely love this book! The language is lively, humorous, and unsentimental, and the characters have the feel of real people. 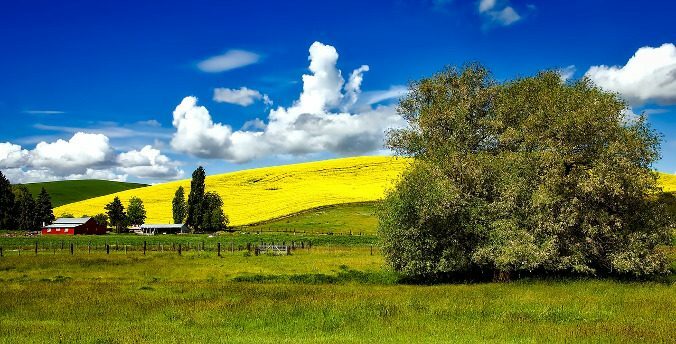 The novel evokes a time, place, and community that feels authentic to me, as if I’m stepping back in time to southern Idaho in the mid-twentieth century and observing the way these good people really were, visualized through the eyes of a young woman coming of age. My employment up to this time had always consisted of purely physical labor. I was actually afraid of offices, and would rather have gone on cleaning houses and working in the fields. “Maybe Mrs. Johnson could give me more hours,” I said. She pushed her chair back and headed for the dishpan to wash her bowl. The conversation was finished. 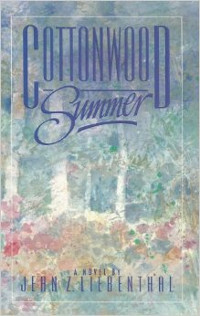 When I decided to re-read Feathers and Rings, I thought it would be nice to read Cottonwood Summer, which details a summer when the characters in Feathers and Rings were children, and so I bought a copy. It, too, is a keeper. Both of these books are out of print, so if you want to read them, you’ll have to borrow them or buy them from a store that sells used books. While both of these books were published to the LDS audience, they don’t deal with religious themes at all. Almost all of the characters are LDS and terms such as Relief Society, mission, and bishop are occasionally used without explanation, but you never see the characters in church and they don’t talk about religious ideas. In Cottonwood Summer, a young man gets baptized into the Church, but the baptism occurs off-stage. In the same book, a priesthood blessing is mentioned, but not detailed or discussed, and there is a brief reference to the fact that Nola is a descendant of a pioneer polygamist family. Because there is so little actual religious content in these books and the themes are universal, I believe the books would be accessible to a larger audience than they were originally published for.